Ford models are known for their value, but we know that buying any new or used car is one of the biggest investments you’ll ever make. With that in mind, the team in our auto financing department is here to help.We have been providing car loans and Ford lease to drivers from Rancho Cucamonga, Fontana, Chino and Pomona, CA, and we know we can help you too! Once you have found a model that suits your needs, fill out our user-friendly contact form to get in touch with us. Or if you’d rather speak with one of the members of our staff, they’d be more than happy to take your call and get you started. 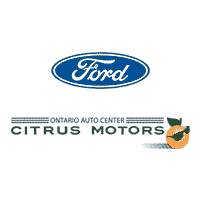 Better yet, you’re always welcome to pay us a visit at our dealership here in Ontario. We look forward to seeing you soon.